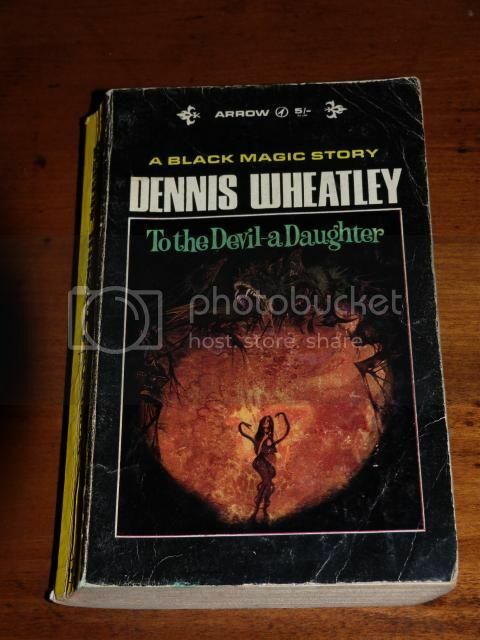 I have been a fan of the film version since before I knew who Dennis Wheatley was. I rented it on VHS from a video store and it stuck in my mind. It wasn't until I got my first Dennis Wheatley novels, Haunting of Toby Jugg and Ka of Gifford Hillary (the stupid-looking Mandarin paperbacks), that I put it together with Wheatley. I remember recognizing the name when I was scanning the shelves of the horror section that day. 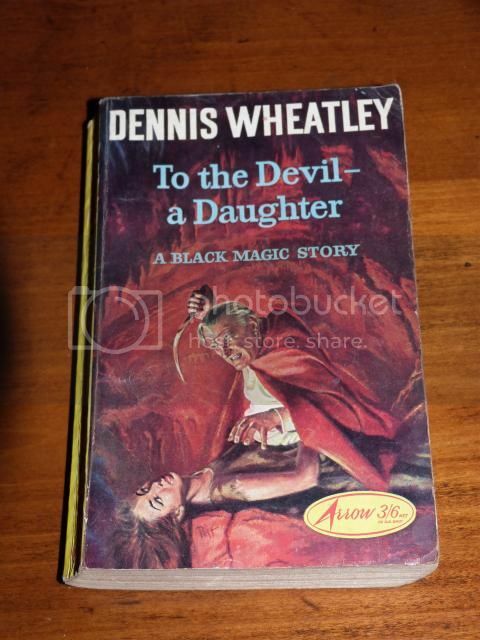 I looked at the page that listed other Wheatley titles Mandarin had published and saw To the Devil-- a Daughter and The Devil Rides Out. 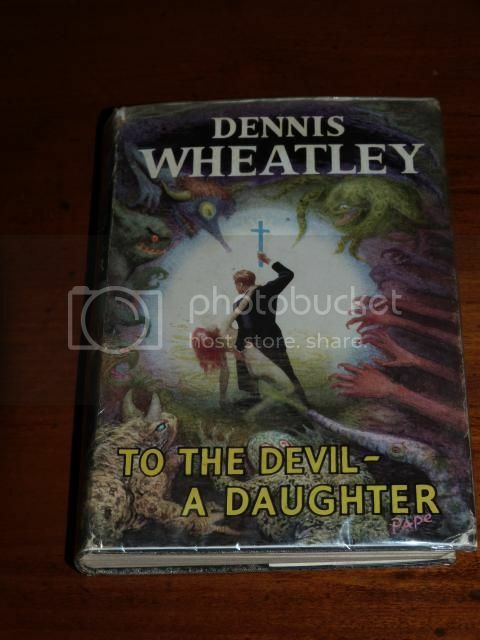 After reading a couple of Wheatley books, but before I got my hands on the novel version of To the Devil, I couldn't really imagine it being a Wheatley book. Of course, it isn't, at least not as it is in the movie. I agree that the changes are in some ways bad, but then it is still a good movie. So, I have always said that as an adaptation, it is horrible, but as a movie in and of itself, it is quite good, all wacky flaws aside. I quite enjoy the stories of the making of the film as well. Sounds like Richard Widmark was, just to be polite, disagreeable. I agree that the ending should not have been changed simply due to the similarity to the ending of Scars of Dracula. Since when was Hammer really worried about being derivative of its own material? Just goes to show that change, while inevitable, is not always good. It's not always bad either, after all, if things had stayed as they were in the '50s, we wouldn't likely have gotten the film version of the Devil Rides Out, which is one of my favorite movies, period (even though that one isn't exactly the most faithful adaptation either, though much closer than To the Devil). 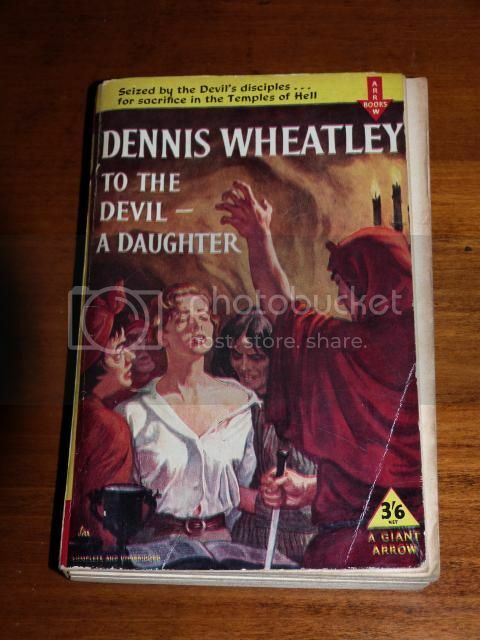 Does anybody have that book about the making of the film version of To the Devil? I would love to track down a copy of that. As for some of the other later Hammer flicks, I rather enjoy them. Satanic Rites of Dracula just seems to be Hammer realizing it can only afford to make so many pictures in a year, so deciding to just make one that covers as many sub-genres as possible (you've got the vampire movie, the satanic cult movie, the cop/James Bond kind of movie, complete with a madman bent on ruling/destroying the world and even a bit of the apocalyptic movie). It's a bit cluttered and can be slow in places, but I dig it. I also dig Dracula A.D. 1972 and the crazy music. Not to mention Stephanie Beacham and Caroline Munro. I actually have the score for this one on CD. Twins of Evil is cool as well. Cushing is never lame. No matter how stupid of a movie he was in or what inane drivel passing as dialogue he was delivering, the man took it seriously and gave it his all (though to be clear, I am not calling Twins of Evil stupid). I am still undecided whether or not it is better that Hammer opted to not have the guard gorilla in the movie of To the Devil, though. I thought I'd add some pictures of my various editions of TTDAD. The 1st edition hardback (1953). Little bit scuffed at the edges but a very treasured possession. Iâ€™m up for the film being screened at the convention Darren. I watched the first ten minutes of it as a teenager (until I was called away to drink a Watneys Party 4 or something) and Iâ€™d be interested in seeing the rest of it. Darren wrote: At last there seems to be growing respect for this film. Has this film ever been shown at a DW convention? If not, could it happen this year? I can bring a copy. We need to spend more effort in persuading Charles and Stevie P. whom are probably yet to be convinced. The opening paragraph of Stevie P's review of the book on this wonderful site always makes me smile. And every time I watch the film I always look at Michael Goodliffe's character with Steve's observation in mind. I think you'd still find it hard to convince me after all these years ... but I'd be very happy to watch the film again if someone brings it along. You are right that it's never been shown at a Convention ... when we ran out of the 'other' films, there were howls of derision (and not just from me ) at the idea of it being shown. But times change, and if you all like it, I guess there must be something good about it ... maybe you'll yet convince me and Steve P.
I'll bring a copy and then it's always an option - even if we only watch the short documentary. However I wouldn't want to play it if it is going to spoil a great day for some members. I would have similar concerns if someone proposed showing The Haunted Airman.